iPhone X එක release වුණු දින වලදී FaceID හඳුන්වා දුන්නේ fingerprint sensor එක display එකේ වීදුරුවට යටින් embed කරගන්න එයාලාට නොහැකි වීම හේතුවෙන් කියලා හැමෝම කිවුවා මතක ඇති. නමුත් ඔන්න දැන් Xiaomi ලා එයාලාගේ අළුත්ම smartphone එකේ මම අර උඩින් කියපු feature එක දීලා තියනවා. 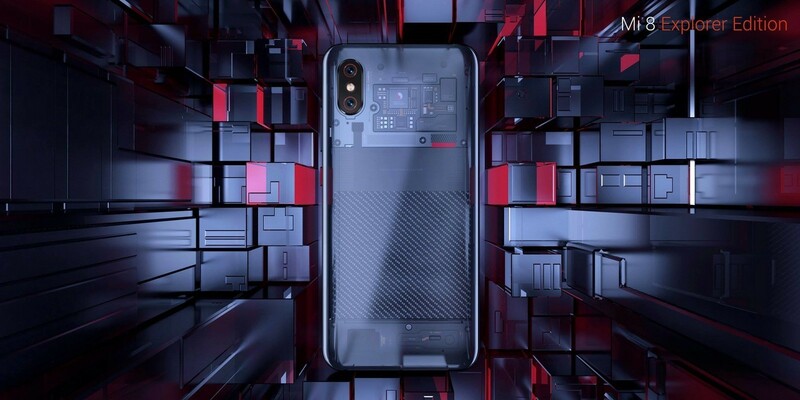 මේක කරපු පළමුවෙනි Android phone එක Xiaomi Mi 8 එක නොවුණත්, මේ smartphone එකේ පෙනුම වගේම වැඩත් iPhone X එක වගේ. නමුත් iPhone X එක තරම් ගණන් නම් නැහැ. Mi 8 එකටත් iPhone X එකට වගේම notch එකක් තියනවා. ඒක අනිත් Android phone වල තියනවා වගේ නිකම්ම නිකන් notch එකක් නෙවෙයි. මේ notch එක ඇතුලේ තියනවා facial recognition system එක වැඩ කරන්න අවශ්‍යය වෙන හැම component එකක්ම. ඒ වගේම මේ Mi 8 එකේ Explorer Edition කියන model එක iPhone X එකට challenge කරන්න පුළුවන් තත්ත්වයේ technology එකකින් සමන්විත වෙනවා. කොහොම වුණත් මේ Mi 8 එක තාමත් iPhone X එක වගේ bezel less phone එකක් නම් නෙවෙයි. ඒ වගේම පසුපස iPhone X එක වගේම camera දෙකකින් සමන්විත වෙනවා. මේ Mi 8 එක බලගැන්වෙන්නේ මේ දින වල ඉතාමත් ජනප්‍රිය chipset එකක් වෙන Snapdragon 845 කියන SoC එකකින් වන අතර අඟල් 6.21 ක AMOLED display එකකුත් මේකට තියනවා. ඒ වගේම Mi 8 SE කියන model එක Snapdragon 710 කියන SoC එකෙන් වන අතර මේකට තියෙන්නේ අඟල් 5.88 ක AMOLED display එකක්. 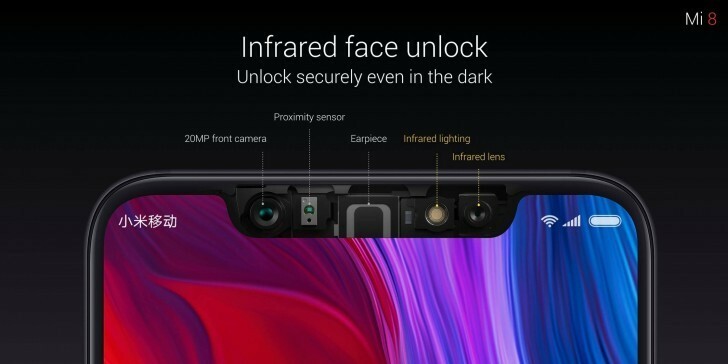 12-megapixel rear camera දෙකකින් මේ smartphone එක සමන්විත වන අතර front camera එක 20-megapixel එකක් වෙන බව තමයි Xiaomi ලා කියන්නේ. ඒ වගේම මම කලිනුත් කිවුවා වගේ fingerprint sensor එක තියෙන්නේ display එකට integrate කරලාමයි. ඉතින් ඔයාට display එක උඩ tap කරලා unlock කරන්නත්, payment එකක් authorize කරන්න වගේ fingerprint sensor එකකින් කරන හැම දෙයක්ම කරගන්න පුළුවන්. නමුත් මේක ඇතුලත් වෙන්නේ Mi 8 Explorer Edition කියන model එකේ විතරයි. අනිත් model එකේ සාමාන්‍යය විදිහට පසුපසින් fingerprint sensor එක පිහිටලා තියනවා. Operating system එක ගැන කතා කරන විට මේ Mi 8 එකේ run වෙන්නේ Android Oreo මත පදනම් වුණු MIUI 10 කියන Xiaomi ලාගේ Android flavor එකයි. 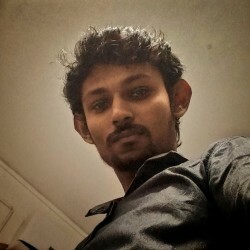 ඒ වගේම Xiao Ai කියන personal assistant වත් මේ operating system එකට ඇතුලත් වෙනවා. 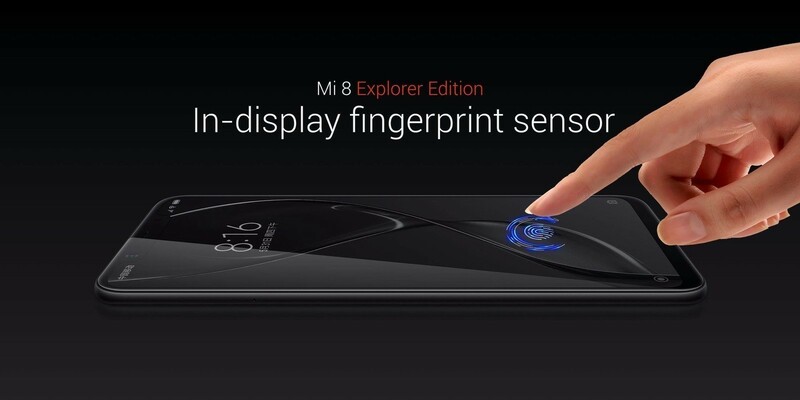 Mi 8 Explorer Edition එක release කරන දවසක් තාමත් හරි හැටි ප්‍රකාශ කරලා නැතත්, මේකේ මිළ නම් 575 USD වෙනවා කියලා තමයි කියන්නේ. කොහොම නමුත් Mi 8 එක සහ Mi 8 SE කියන models දෙක නම් පිළිවෙලින් $420 සහ $280 වශයෙන් මිළ නියම කරලා තියනවා වගේම ඊළඟ මාසය ඇතුලත චීනය තුලදී මිලදීගන්න පුළුවන් වෙනවා.